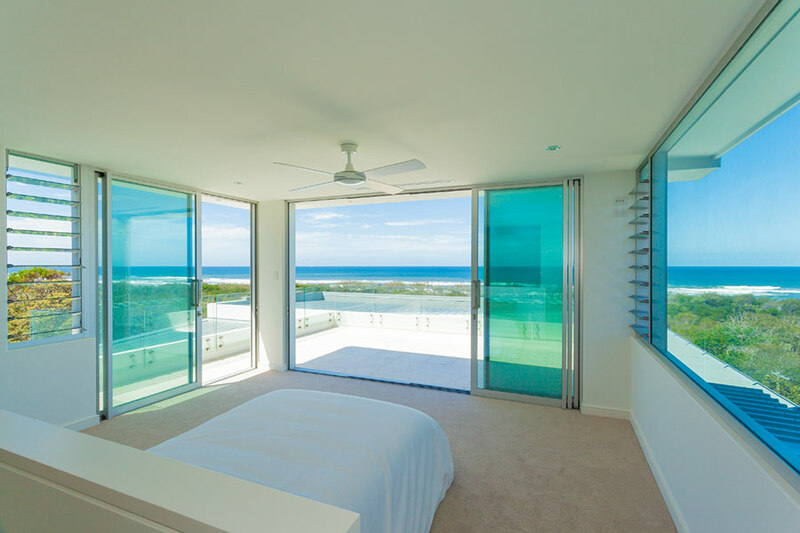 This simple, modern home creates a new language for coastal architecture. 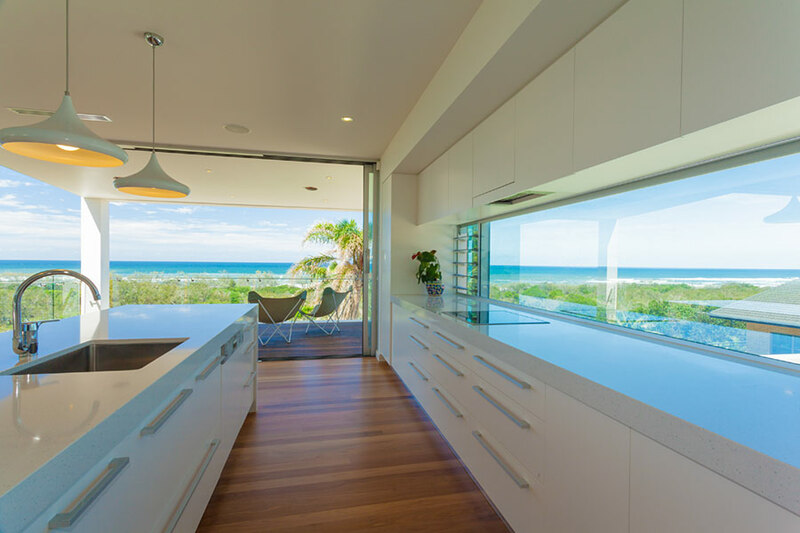 The combination of clean lines, a minimal design and a focus on open communal spaces has created an ideal space that perfectly suits the lifestyle of the owners, facilitating entertaining while allowing for relaxation and isolation where desired. 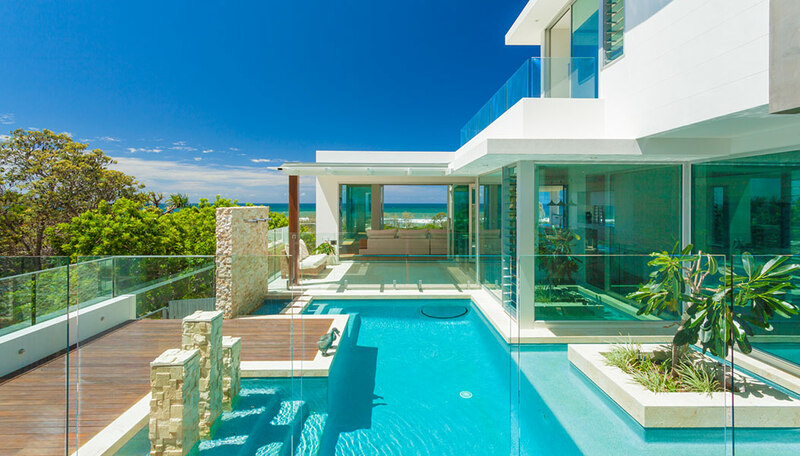 The entire front space of the home can be opened onto the deck, which looks directly over the ocean. 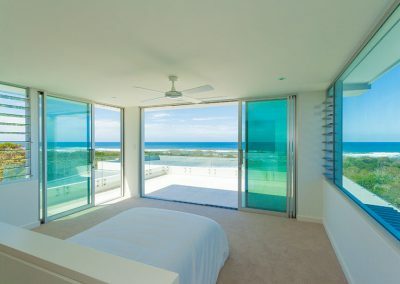 Breezway Altair Louvre Windows allow for beautiful sea views to be captured while blades can be angled to control the amount of airflow entering the room. When closed, Altair Louvre Windows seal tight to ensure superior protection from the elements where in such an environment like this, high performance windows are a necessity. Through the use of glass blades and the design of the Altair Louvre, no view is obstructed thereby allowing occupants to feel at one with nature, even when the windows are closed. 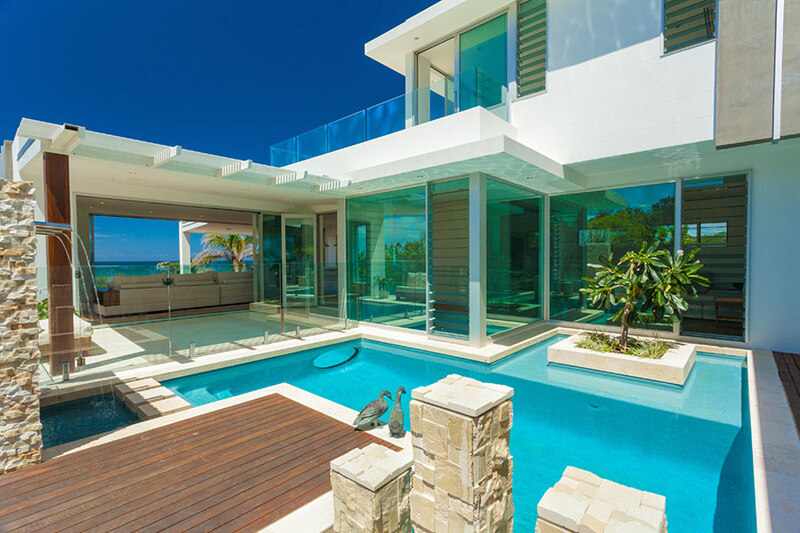 “We particularly enjoy the integration of the living and the outdoor areas, which makes for easy entertaining. However, equally importantly for us, is the free flowing nature of the house which has captured the ocean and bushland vista from the living areas and most bedrooms. 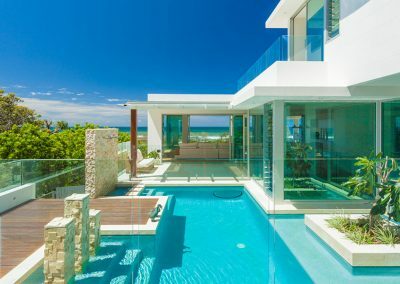 Whale watching is an easy activity…” stated the owners of the White Sand House project.